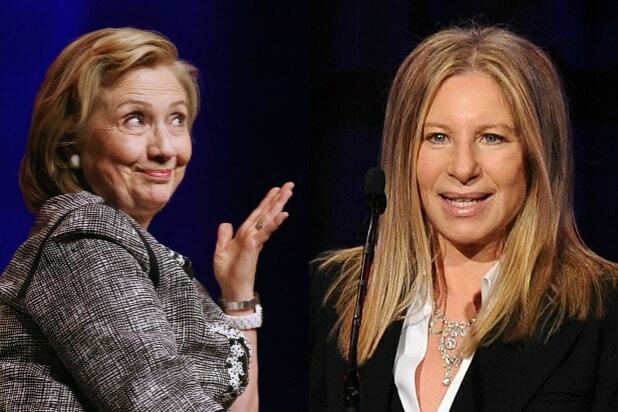 Barbra Streisand is headlining an LGBT fundraiser for Hillary Clinton in New York City next month. Streisand will lend her name and voice to help raise cash for Clinton’s presidential bid on Sept. 9 at Cipriani Wall Street, according to an invitation obtained by TheWrap. Tickets for the gala start at $1,200, with limited availability, and go as high as $250,000. Donors who raise six figures get a meet-and-greet reception with Clinton. In an email — featuring an “H” logo in rainbow colors — Mark Spengler, Clinton’s National LGBT Finance Director, announced the event to Clinton’s LGBT supporters. “We will come together on Friday evening September 9 in New York to celebrate equality, build support for our campaign for a stronger America and aim our focus squarely on continued progress by sending Hillary to the White House,” the email read. Over the years, Clinton has become something of an icon in the gay community, establishing herself as a champion of LGBT rights. Gay Hollywood has already rolled out the rainbow carpet for Clinton. Ellen DeGeneres, “I Am Cait” star Candis Cayne, Jim Parsons, Michael Kors, Rosie O’Donnell, Jesse Tyler Ferguson, Chris Colfer, Greg Berlanti, Lee Daniels, Andrew Rannells, Elton John and Ricky Martin have all endorsed her. Streisand, perhaps one of the biggest gay icons of all time, has been a Clinton supporter from Day 1. The LGBT community is one of the most sought-after voting blocs, particularly when it comes to donations. The combined buying power of the U.S. LGBT adult population for 2014 was estimated at a whopping $884 billion, according to an analysis by Witeck Communications, a D.C.-based pubic relations and marketing firm. The New York fundraiser benefits the Hillary Victory Fund — a joint venture by Hillary for America, the Democratic National Committee and state parties. The money that is raised will go to all of those groups.